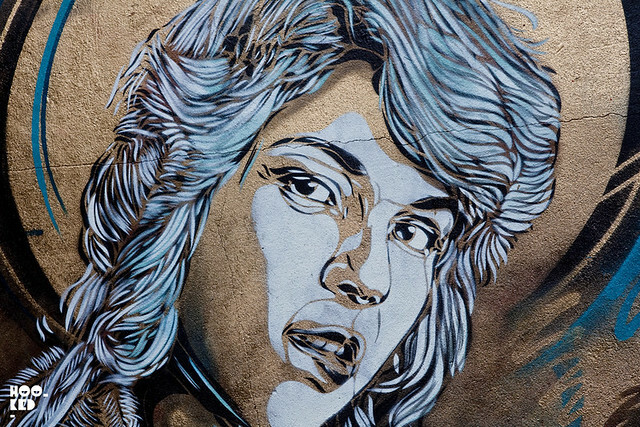 Following the opening of his London solo show 'Back To Black' at East London gallery Stolen Space on Thursday (photos to follow), French stencil artist Christian Guemy aka C215 took to the streets of East London early this morning to work on this beautiful large scale multi layered stencil mural before heading back to France this afternoon. 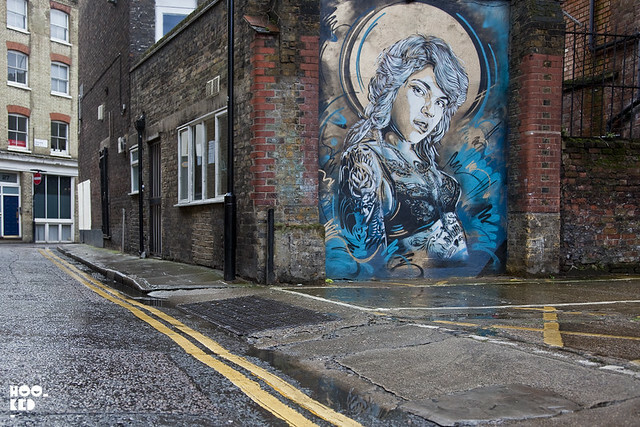 The new mural can be found on New North Place just of Scrutton Street. 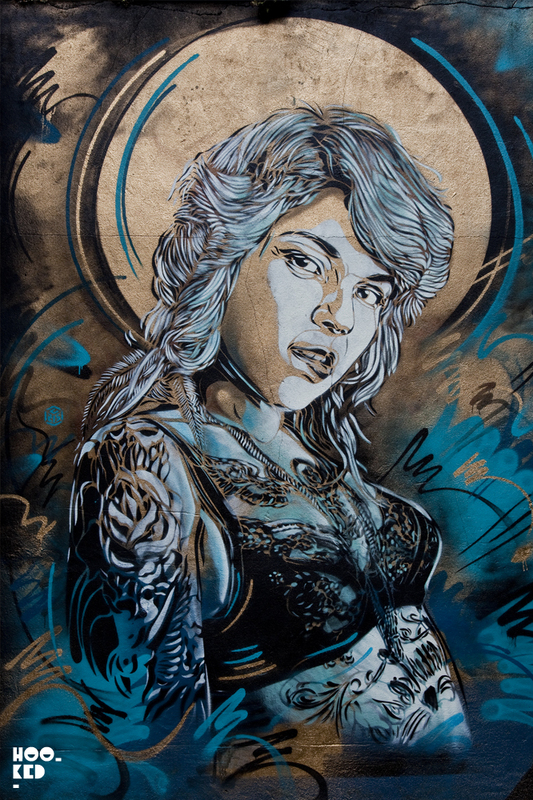 C215's Back to Black exhibition runs at Stolen Space Gallery until the 2nd March 2014.